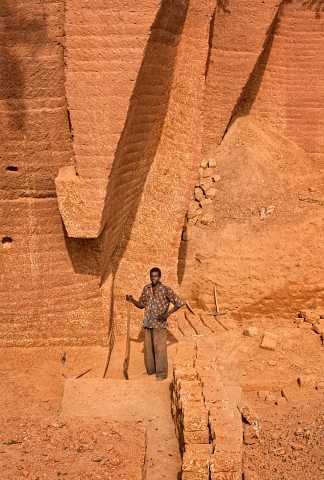 After driving five hours from Ouagadougou, the capital of the small West African country of Burkina Faso, one arrives at the small village of Karaba. 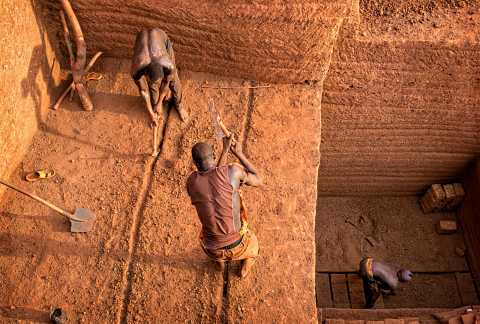 A short distance from the dusty main road, a cavernous pit appears beside a field of corn. 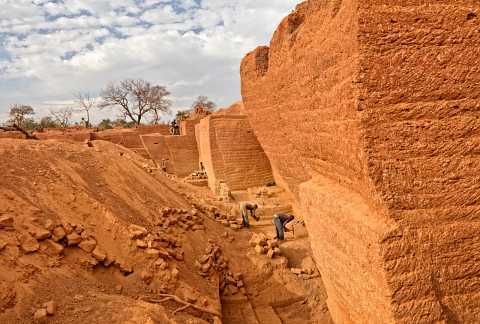 The color is dazzling and the regular tectonic forms suggest a vast subterranean architectural project. 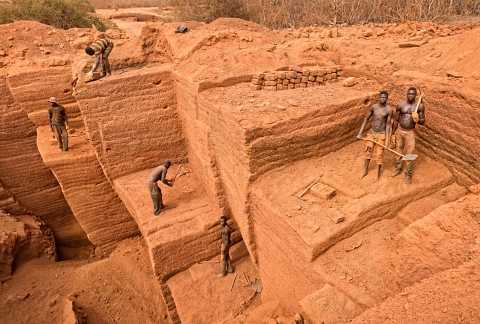 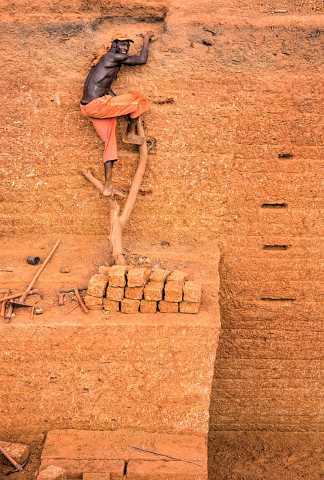 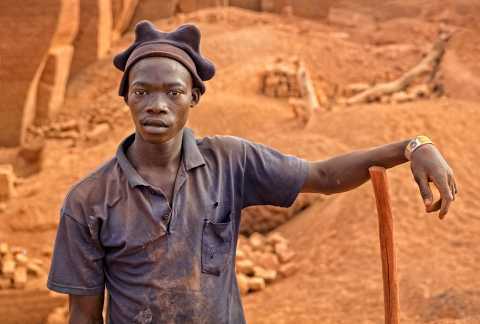 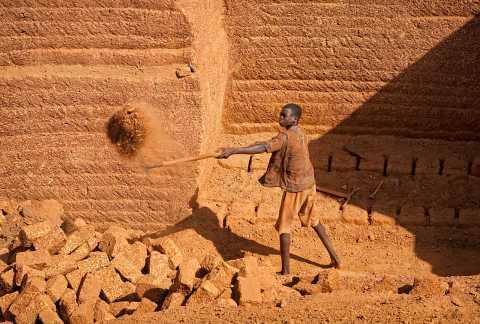 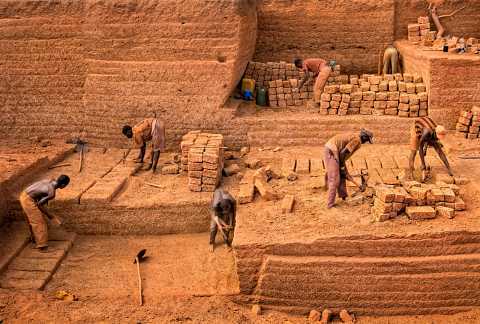 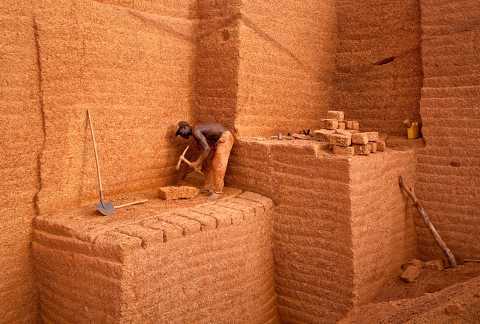 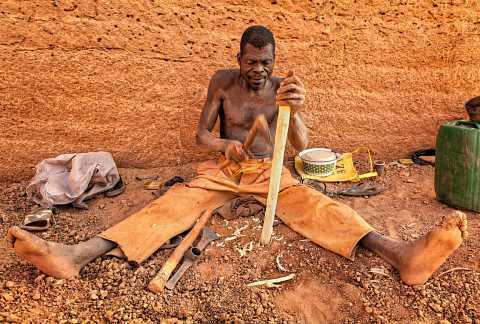 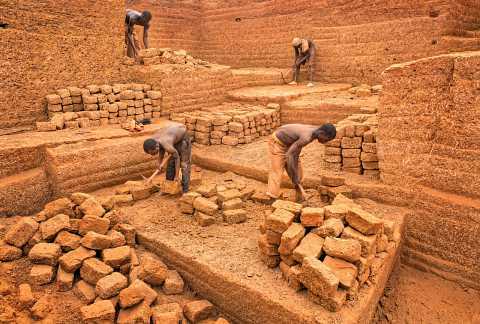 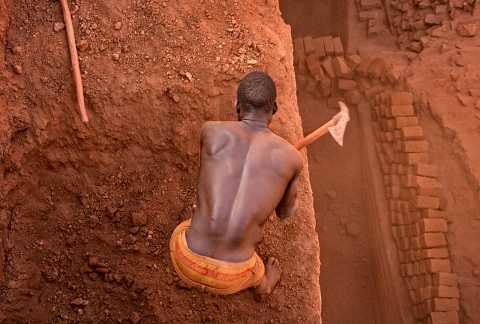 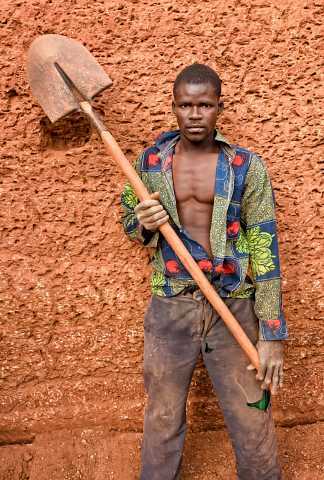 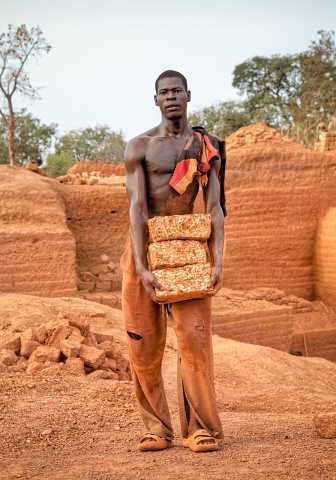 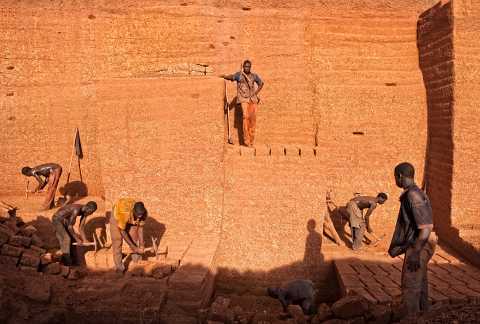 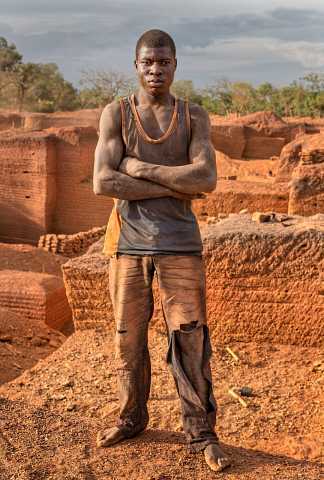 This is the Karaba quarry where men carve bricks from solid stone using only short-handled iron picks. 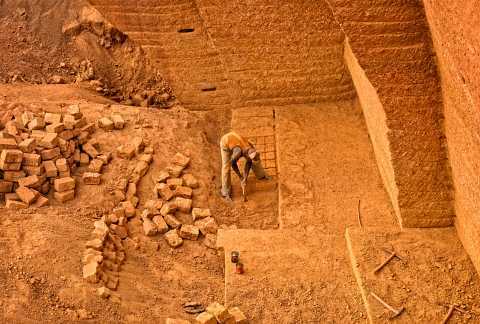 In the hot equatorial sun they excavate the material that will become the basic building blocks for the homes and walls that structure the surrounding communities. 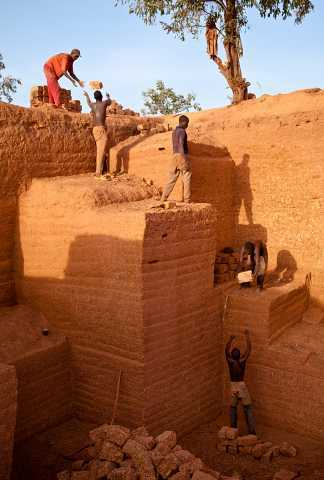 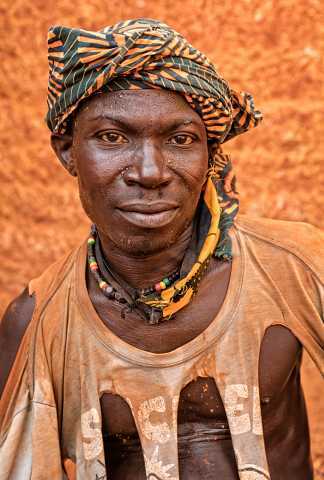 I have been documenting the quarry since 2008 on my annual visits to Burkina Faso.